We are delighted to welcome Johan to our team in the Thames area following a highly successful 17 years as one of Harvey’s top selling agents in Papakura. His understanding of the property market, total commitment to his clients, communication and negotiation skills are second to none. 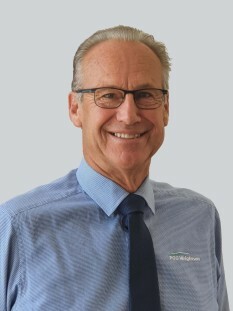 Johan brings a wealth of knowledge and experience in both selling and developing property having relocated to Thames 7 years ago with his wife Joan where they have built 2 beautiful homes, made lots of wonderful new friends, enjoy fishing, cycling and the fabulous Coromandel Peninsular lifestyle. Johan is friendly, professional and honest, and has a genuine interest in getting his vendors the best result possible in all market conditions, making him a clear favourite with his clients, for many of whom he has assisted with purchasing or selling multiple properties over the years and become good friends. If you are thinking of buying or selling give Johan a call for free, no obligation, confidential help and advice and discover how this very experienced agent will achieve the top price the market has to offer for your most valuable asset.